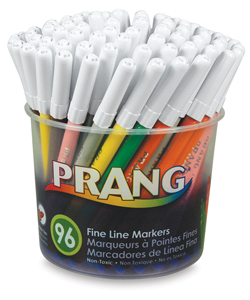 The 2.75 mm tip on Prang's fine line markers allows for detailed, accurate drawing. 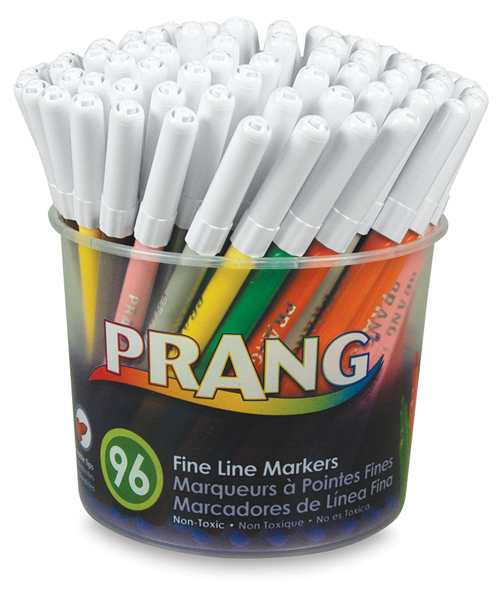 The washable high-quality ink won't bleed through paper, and the marker's streamlined design is comfortable to use. This big tub gives them 96 bold, vibrant colors to experiment with — eight each of 12 colors, including Red, Black, Yellow, Green, Orange, Blue, Pink, Gray, Purple, Light Green, Light Blue, and Brown.